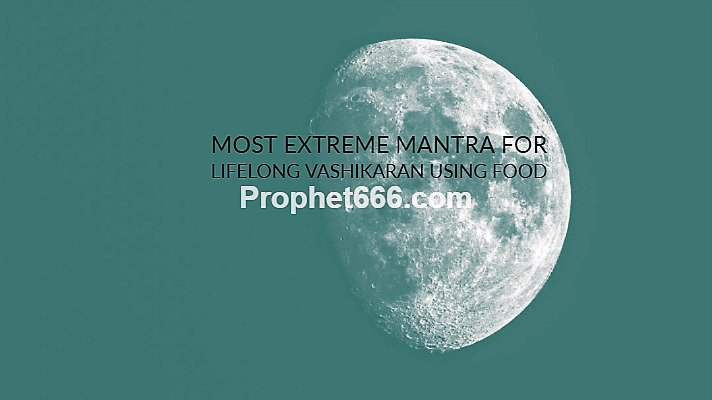 This is the kind of Vashikaran Experiment that is practiced by some Siddh Sadhus and Yogis for binding any man or woman under a very strong Akarshan Spell and make that person behave like an obedient slave. The Siddhi Sadhana can be started on any day and all that is needed is the chanting of the Vashikaran Mantra. The practitioner can use any counting rosary, including a Ruddraksha Japa Mala for the counting of the prescribed 30, 000 Mantra Chants. There is no Puja-Vidhi or rules regarding Disha, Aasan, Mala etc, for this Vashikaran Mantra Siddhi Sadhana. This Vashikaran Mantra is composed of a combination of special letters that have the power to collectively generate very powerful vibrations that can be directed towards any desired man or woman by way of food, drinks or any kind of eatables in order to bind that person for any purpose under a Voodoo Attraction Spell. The 7 herbs / parts of plants mentioned below should be taken in equal quantity and grounded together to prepare small ball / tablets, which are called in Tantrik language as Vashikaran Goli. A little quantity of water can be added in needed. The Vashikaran Goli has to be kept for drying indoors or in a shaded place. 7] The Panchang or 5 Part of the Kala Dhatura or Black Thorn Apple Plant – the root, the bark, the leaves, the fruits and the flowers. One Vashikaran Goli should be taken in the right hand and the Vashikaran Mantra should be chanted 7 times for infusing the food or beverage with the power and potency of the Vashikaran Mantra and then mixed in the food, eatable, snack, cold-drink, beverage or any food-stuff and given to the targeted person to eat or drink. As per the Vashikaran Tantra, when the targeted man or woman consumes the food / drink, he or she will come under a most powerful and Atoot and Jeevan Bhar or unbreakable and lifelong Vashikaran Spell. Notes- This post has been written only for the sake of sharing rare and unique information on Indian Paranormal and Tantrik Practices. This site has not tried and tested this Vashikaran Experiment and hence cannot give any information regarding the physical or mental side-effects of consuming the Vashikaran Goli and hence, readers are strictly advised not to practice this Vashikaran Prayog. All kinds of Attraction Experiments can be seen in the sections on – Vashikaran Tantra and Mantra, Vashikaran Yantras and Vashikaran Remedies Tone Totke and Upay. से सम्बंधित मन्त्रों की साधना ,सुन्दरकाण्ड ,हनुमान चालीसा ,बजरंगबाण ,हनुमान साठिका के अनुष्ठान करें .संस्कृत जाननेवाले पाठक असाध्य रोग शमन हेतु वाल्मीकि रामायण के सुन्दरकाण्ड का पारायण प्रारम्भ करा सकते हैं .विपत्ति,महारोग ,शत्रुभय से त्राण हेतु या किसी मनोकामना की पूर्ति के लिए हनुमान चालीसा के 108 अखंड पाठ (पूजा व पाठ के 6 -7 घंटे आसन से उठना नहीं है )को भी क्रियान्वित कर सकते हैं .